Business is all about relationships; in sales, relationship management is everything. Whether it’s nurturing leads or checking in with existing accounts, success depends on having the right dialog, with the right person, at the right time. By automating sales calls you can achieve the success you want. “Dialog” is the key word here. There may be occasions when an email is your best option, but in many sales processes the telephone is still king. It is often vital to make sure that these one-to-one calls happen when they should. It is also important to remember that a call is not just a call when using modern tools: Nowadays during a call, it is likely that chat, screensharing and other tools will come into play. But you have to reliably get your contact into that call or session first. 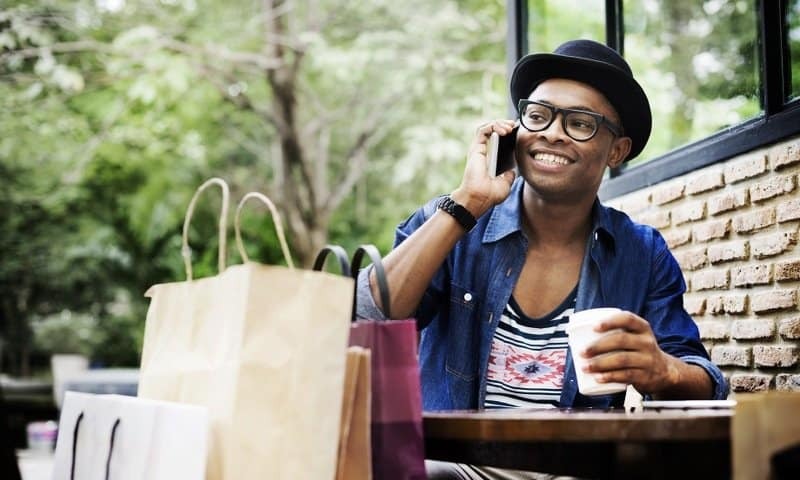 In fact, despite the growing presence of multichannel services, a telephone conversation remains the strong preference for people with the most decision making or spending power (Dimension Data CX Report 2016). So unless you can meet every prospect face-to-face, there is no better way to build the kinds of relationships you need to win and retain customers than on the phone. Clearly it is not just being in the call that counts, it is the quality of the interaction. Since the person being called will expect your sales representative to have everything to hand, it should go without saying then that few contact center functions are as important as delivering the right customer data to staff when it is needed. Be it interaction history, purchase history, or just the contacts preferred mode of address, everything related to that customer needs to be delivered promptly to the sales agent in time for the call to start correctly. When the delivery of this data is not built into outbound dialling, waste is introduced into every call. Lead-nurturing is a good example of why this is so important. Businesses with established lead-nurturing programs achieve 50% more sales at one third of the cost, but it’s a near impossible practice for agents with only a partial view of customer data. That’s just the outlook for an individual agent. For the contact centers that babelforce works with, making hundreds or thousands of calls per hour, any fractional delays in data access accumulate to an enormous potential loss. What information do our agents need? How easily can they update the information? Is the information delivered simply? We’ve already touched on the kinds of data that sales staff need to access – the short answer being ‘everything that could contribute to developing a prospect, making a sale, or retaining a customer’. Retention in particular can benefit from improved data insight. The majority of customers who end their relationship with a company do so because of a perceived indifference to their personal needs. Modern customers have an expectation that their preferences in how and when to be contacted will be recorded, and that future interactions will account for any details they have supplied previously. However, simply getting information to the front line is not the full story. When there are disjointed processes occurring across the business, it’s easy to let big things slip between the cracks. Common data processing tasks like updating lead lists, recycling contacts, and labelling call outcomes, are all at risk when automation is not central to their operation. A recent report from Demand Gen found that over half of all organizations are dependent on customer data that is 20-40% inaccurate. A good amount of the blame for this state of affairs lies with clunky and outdated manual processes that drastically limit the speed of data entry. Again, this applies at the level of both the individual agent, and the contact center as a whole. It’s well established that most sales staff believe they spend too much time on data entry, and they’re probably right. It’s not because these tasks aren’t important, but because agents have to move between disparate systems, recording information that could be aggregated in a single location. This is exactly the kind of simple alteration you can make to data entry processes by installing the babelforce connect app as a widget in your existing User Interface. By drawing data from resources via deep integrations with your business tools, complete customer records can be viewable anywhere you need them. babelforce can also help you eliminate scheduling inefficiencies. There are plenty of common situations where even a basic level of automation could help to establish the status of customer contacts, and use the available data to determine next actions. When an agent doesn’t get through to their prospect on the first attempt, for example, it’s perfectly straightforward to automatically schedule a second. Likewise, when a customer makes a very high-value purchase, there should be nothing stopping you arranging a courtesy call automatically. There are all kinds of run-of-the-mill actions like these which are frequently handled manually, with speed and consistency among the first casualties. What’s needed is access to simple API tools and no-code automation, allowing non-technical staff to create new workflows. To really compete, while also generating cost-savings, contact center planners need to be able to act on the call patterns they see every day. There is nothing more frustrating than knowing about various simple changes that could make incremental contributions to success, but being unable to put them in place. That’s why the core goal of babelforce API is to put the power to make meaningful changes in the hands of the users who have the most exposure to systems that need changing. When you have the ability to alter workflows on the fly – to build in automations that eliminate tedious and error-prone scheduling or data entry tasks – you’ll see why so many businesses are already choosing babelforce.